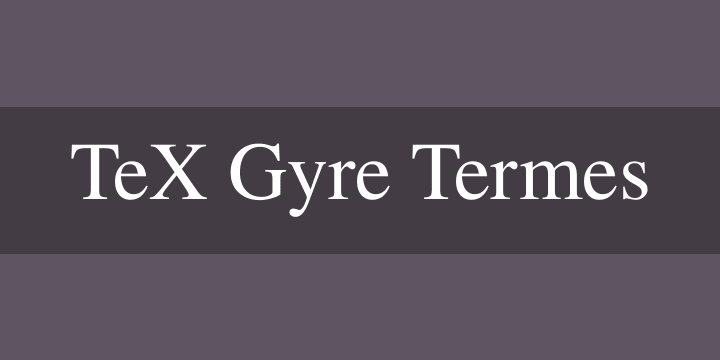 The TeX Gyre Termes family of serif fonts is based on the Nimbus Roman No9 L family distributed with Ghostscript. The original font, Times, was designed by Stanley Morison together with Starling Burgess and Victor Lardent for the London newspaper “The Times”. It was first issued by the Monotype Corporation in 1932 . The constituent 4 standard faces contain nearly 1250 glyphs each.